CTET Exam Center Latest News 2019 On 26 March 2019, CBSE (Central Board of Secondary Education) increases more exam centers in Assam and Bihar. In a Further Reply CTET department issued a Correction link to correct form if you have wrong done on putting spelling mistakes in Name, Father/Mother Name, Date of Birth, Mark sheet Certificates related issue etc. CBSE CTET Correction Form 2019: Last Date to put all mistakes in right statement is starting from 23 March to 1 April 2019. 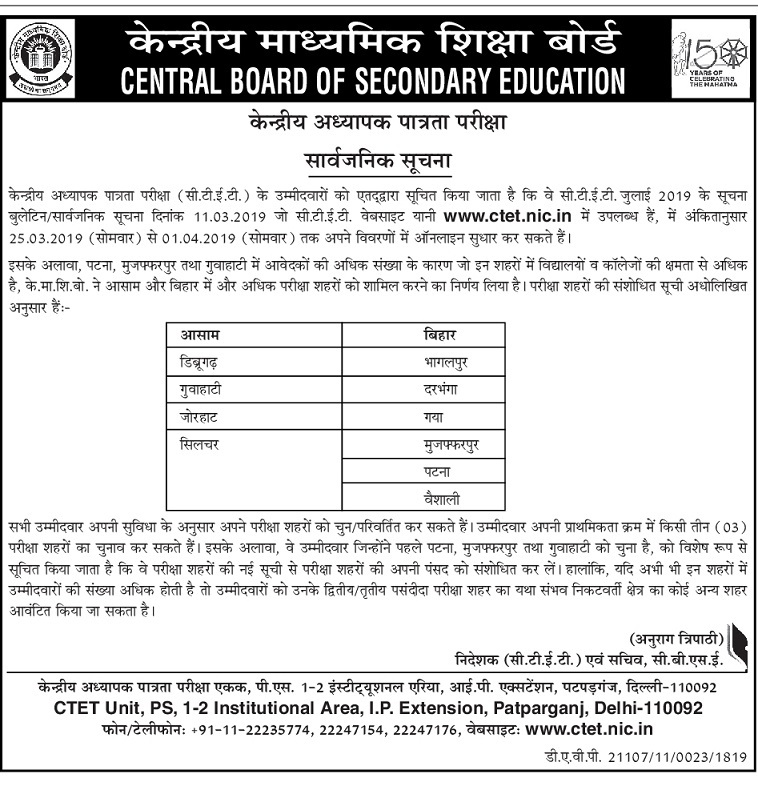 For More details you can also check this link here Central Teachers Eligibility Test (CTET). Name of the Organization: Central Board of Secondary Education, Delhi. 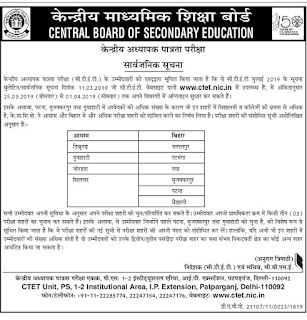 Last Date for online application form CTET correction is 01.04.2019 up to 11.59 P.M.
CBSE CTET Exam Centers News: You are here to check Patna, Muzaffarpur and Guwahati Exam center of Teacher Eligibility Test is changed due Heavy Number of applicants interested to become teacher in CTET OR STET (State/Central). CBSE has made more school and college in as exam centers. ASSAM CTET Exam Center: Dibrugarh, Guwahati, Jorhat and Silchar. Bihar CTET Exam Centers: Bhagalpur Darbhanga, Gaya, Muzaffarpur, Patna, Vaishali.